NEW Radiator Coolant Over Flow Tank W/ HOSE KIT for your Classic Ford Bronco. 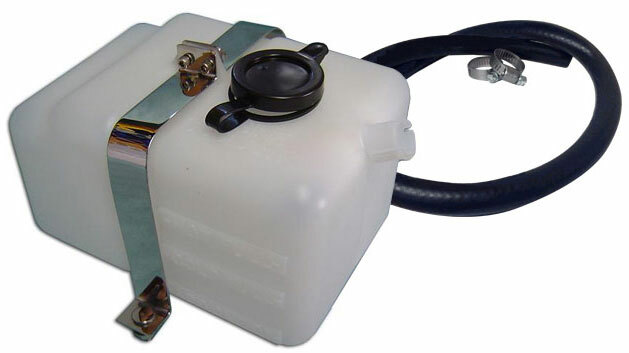 This overflow bottle assembly is an excellent reproduction of the stock tank found in 72-77 Ford Broncos. This item mounts on the top of the passenger side wheel well and will work for 66-71 Ford Broncos as well. Installation requires an outlet port in the radiator and hose kit.